The group that for 50 years has helped low-income Mainers and ended archaic practices in the state now faces cuts to federal funds. In the summer of 1969, newly minted law school graduate Howard Reben arrived in Portland from upstate New York to start work at Pine Tree Legal Assistance, a 2-year-old nonprofit providing legal aid to poor people, and his new colleagues took him out for drinks to welcome him and give him the lay of the land. When they got to the part about how hundreds of Mainers were imprisoned for not being able to pay minor debts without so much as a hearing, Reben didn’t believe them. Pine Tree’s 50th anniversary event is from 5 to 7 p.m. Friday at the University of Southern Maine’s Hannaford Hall. The event is free and open to the public but requires advanced registration at ptla.org/Celebrate50. The next morning the flabbergasted attorney was standing in front of such a prisoner at the Cumberland County Jail, a man who wouldn’t be released until someone paid his debts and ever-growing jail fees. “I found it completely unbelievable,” he recalls. Within the year, Reben and his colleagues would have the practice declared unconstitutional, part of a campaign that ended a variety of questionable and archaic practices in the state in the years that followed – from denying people on public assistance the right to vote, to school administrators’ publicly shaming children who received free school lunches. In the decades since, its attorneys helped restore treaty rights and land claims by the state’s American Indian tribes, exposed the national “robo-signing” home mortgage foreclosure scandal in the aftermath of the 2008 financial crisis, and transformed the culture of the state’s civil courts. 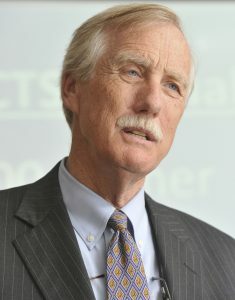 On Friday, the organization will observe its 50th anniversary with an event at the University of Southern Maine featuring U.S. Sen. Angus King, who, like Reben, first came to Maine to work for Pine Tree Legal in 1969. But today the organization faces a new challenge: President Trump has proposed eliminating the agency that provides the majority of Pine Tree’s federal funding. When Pine Tree came into existence in 1967, low-income Mainers faced a difficult legal landscape. Collection attorneys for the local hardware store or hospital could get them thrown in jail for unpaid bills. Welfare benefits could be denied arbitrarily based on the whims and prejudices of town officials. Evictions and housing conditions were nearly impossible to challenge. So-called “settlement laws” modeled on those of 16th century England made a person’s town of upbringing – not the one the person resided in – responsible for providing public support. American Indians, denied the right to hunt or work their own treaty lands, were considered wards of the state and denied the right to vote for state offices. Pine Tree was founded through the efforts of a group of civic-mined attorneys led by Steward Brewster of Augusta, who took advantage of new federal legal aid grants created as part of President Lyndon B. Johnson’s War on Poverty. As per federal requirements, the state bar association sponsored the organization and appointed its board of directors. Nine attorneys staffed eight field offices across the state and would “ride circuit” through smaller towns, meeting potential clients in grange halls, fire stations and town offices from Fort Kent to Biddeford. Not a few of the group’s clients were in debtor’s prison or had family members who were. Under Maine law, collection attorneys could have local sheriffs throw debtors into jail if they failed to respond to an obliquely worded written complaint. They wouldn’t be released until somebody paid the $46 they owed the local lumber company, a $143 car repair bill or a $200 hospital stay, plus $1.75 to the sheriff for each day they had spent in the jail. “I hope that you will enjoy spending year after year in jail, because I will see that you are never let out,” one Waterville loan collector wrote a debtor in 1965. “The practice was to jail lots of people around the middle of December, because the collections attorneys thought the stress and the pressure on their relatives to be generous would be so much greater,” recalls Fontaine, who with Reben and two other Pine Tree colleagues successfully challenged the constitutionality of the procedure in federal court in 1970. The attorneys blocked state officials from sending a pregnant woman to her birth state of Connecticut under the “settlement laws,” intervened for a Portland woman denied documentation needed to marry because she was a “pauper,” and secured the release of a woman incarcerated indefinitely for failing to be employed. They secured the closure of the Eastport jail for lack of windows or adequate heating and toilets and court-provided lawyers for indigent people facing serious misdemeanor charges. They also worked with legislators to rewrite laws to level the playing field in evictions, debt collection and housing law. 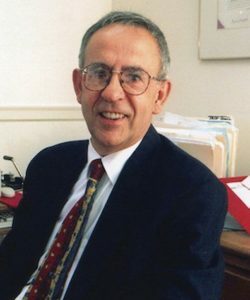 Their Calais-based attorney, Tom Tureen, initiated proceedings against the United States for failing to stop Maine from stealing the Passamaquoddy Tribe’s land and resources as guaranteed by treaty, an effort that resulted in federal recognition for the tribes in the eastern United States and the landmark 1980 land claims settlement between the state and tribes. Not everyone was pleased with the group’s existence and that of its federal grant-making agency, the Legal Services Corporation. Local and state governments resented court challenges from attorneys funded by federal grants. In 1980, Sen. James McClure, Republican of Idaho, denounced LSC as funding “radical activist legislation” on the Senate floor, citing Tureen’s lawsuit against Maine and efforts by a grantee organization in Kentucky to assert that a mother’s lesbianism wasn’t sufficient grounds to deny her child custody. Another round of federal cuts in 1995 reduced staff to its lowest level – down to 33 from its height of 77 in 1981 and below the current 59 – along with new restrictions blocking staff from offering unsolicited advice to legislators. This prompted Pine Tree and similar organizations in other states to spin off separate entities to continue that work. 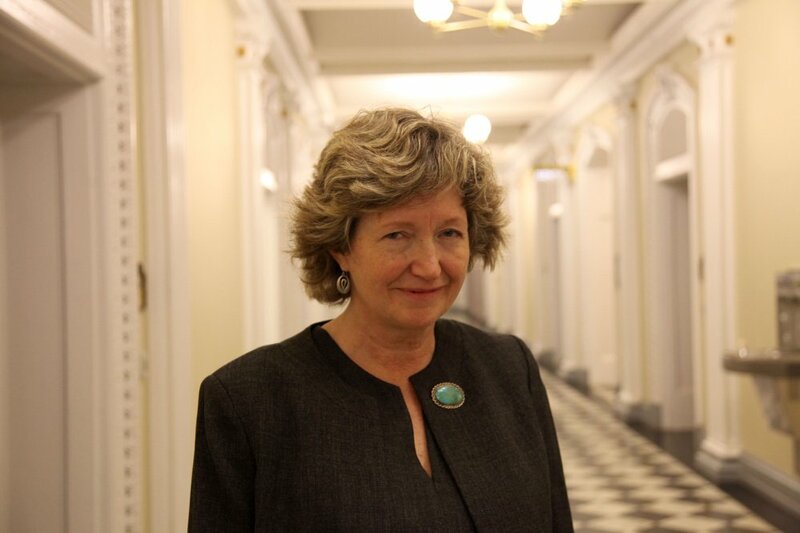 Christine Hastedt, a non-lawyer who had worked for Pine Tree since the early 1970s, co-founded Maine Equal Justice Partners in 1996, which was originally housed in space donated by the AFL-CIO. “We didn’t know this prohibition would happen until a few weeks beforehand, so we had to create this new entity on a very quick turnaround,” Hastedt recalls. “This was a good thing, because at the same time every (federal) program that mattered to our clients had been turned upside-down – ‘welfare reform,’ it was called – and states had to set up structures for the new block grants they were receiving.” Maine Equal Justice Partners, she says, helped ensure that Maine’s system for what had been Aid to Families with Dependent Children served beneficiaries. Pine Tree has since diversified its funding, drawing only 24 percent from Legal Services Corporation, which President Trump has also sought to eliminate. Forty percent of its funding comes from foundation grants and a state appropriation, which Heald says is at its highest level ever thanks to the support of Gov. Paul LePage, a champion of their work on behalf of victims of domestic violence. Twenty percent comes from private gifts and the remaining 16 from other federal grants. In the midst of the 2008 financial crisis, Pine Tree developed a focus on foreclosure abuses, recruiting pro bono attorneys to help homeowners facing improper eviction. While reviewing the foreclosure of a home in Denmark, Maine, one of those volunteers, Tom Cox, exposed the so-called “robo-signing” foreclosure scandal, whereby lenders hired people to sign and approve hundreds of foreclosures a day without proper review or oversight. As a result, the nation’s five biggest mortgage servicers were sued by 50 state attorneys general and settled for $25 billion. Congress appears poised to reject Trump’s call to eliminate the Legal Services Corporation’s funding, which Heald says would likely force the closing of many of its satellite offices. Current Senate funding proposals hold the federal agency’s funding at $385 million, while the House’s spending bill passed in September cuts funding to $300 million.